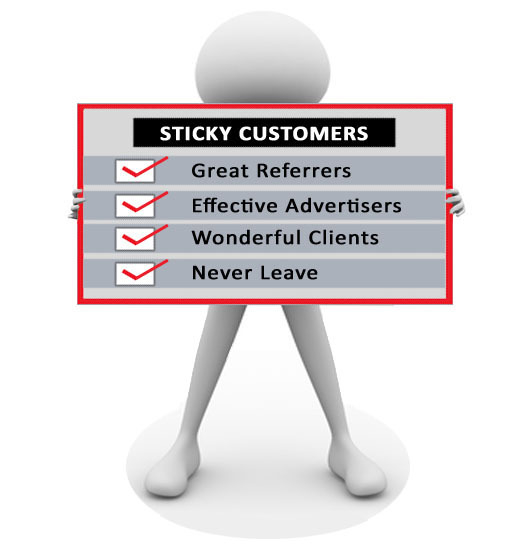 Make your Customers Sticky through world-class CRM! Make Customer Retention your #1 Marketing Objective for 2014! A small increase in customer retention can have a big impact on your profits. Not only do you not have customer acquisition costs but loyal customers are also more profitable. So here you’re ‘Note to Self’ when sitting down to write your Marketing Planning. My company will increase customer retention levels by 5% in 2014. Comments Off on Make Customer Retention your #1 Marketing Objective for 2014!